The great sales managers know that if you want to see an increase in performance then you have to set expectations. But just setting expectations is never enough. You need to put a system in place where you can measure what you expect. As the management saying goes, "Your salespeople will respect what you inspect… and you need to inspect what you expect." But while this all sounds good, it’s not as easy as one might think. Sales managers struggle with this for a variety of reasons and are in need of a solution. But, why is this a struggle? Sometimes it's because of a lack of time, sometimes it's because of a lack of resources or capabilities to pull the reports that are needed. But most often it's because of the numerous other things that they are required to track. Tracking too much is essentially tracking nothing. Most sales managers who are tracking everything will admit that they spend so much time pulling reports and gathering information that they rarely have time to do much with the data they have collected. The goals of measurement and reporting is to make course corrections when needed and show the salespeople what exactly is important. 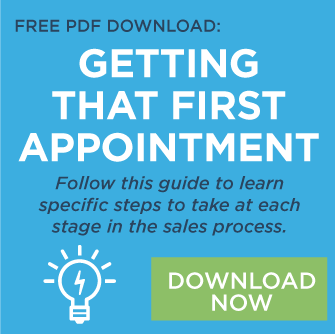 Paying attention to these key areas of focus will improve total sales and develop salespeople professionally. The amount of quality appointments that a sales rep goes on each week. This might seem obvious to many, but too often it is not tracked. Let's make sure to define quality appointments like this: finding needs or presenting solutions. If it’s not an appointment where one of these two things is happening, then it’s not a quality appointment. The size and quality of your talent bank. As a sales manager, you should be in constant recruitment mode and always looking for possible future salespeople to join your sales organization. You will show your commitment to doing this by setting up a tracking system as simple as keeping an updated talent bank and reviewing it at least once a month. The quality of the leads coming into the sales department. Almost all sales organizations have a sales manager, but what about a lead manager? How do you track the number of quality leads that come into your office? If you are not tracking this, then you have no way of knowing if you have a good inbound lead generation initiative. Placing focus in this area will increase your leads. The number of "no surprise" proposals being presented each week. This is a critical measurement. If salespeople are not presenting proposals, then they are certainly not closing deals. 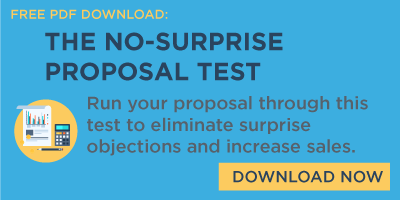 But just tracking the number of proposals that go out the door could also cause the wrong result and lead to a lot of junk proposals being pitched. Instead, look for quality. The “no surprise” proposal is a collaborative effort that the client or prospect is a part of building—and it has a high probability of closing. Closing ratio and budget achievement. These two go hand-in-hand and are certainly critical measures. While budget achievement is something that is tracked in almost every organization, the closing ratio is not. Budget attainment is an excellent measure to look at, but it is a look back at what occurred—and really does not help determine what might happen. However, the closing ratio is a very good indicator of future success and the quality of a salesperson's overall expertise. Closing is easier to do if you understand the client's needs, partner with them on a solution, and present a proposal that you are working with them to write. Salespeople that are doing this at a top level having a much higher closing ratio then those in sales who are just slinging stuff against the wall and seeing what sticks. Sales management is critical to the success of a sales department. While there are many things you can measure and inspect, the key is to determine the areas that are most important. The five areas listed in this article are a great place to start, and should be measured consistently for success.